Wedding veils are so much fun to work with! 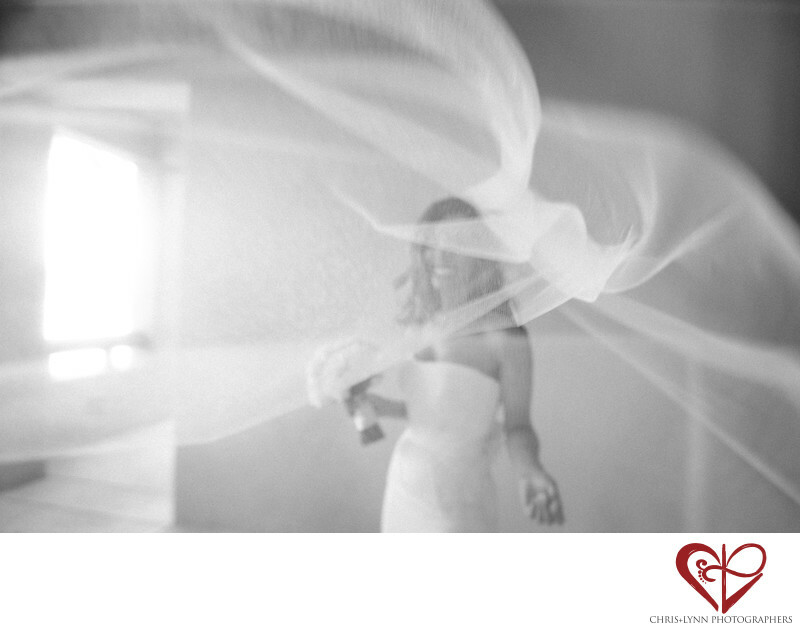 In this photograph, the bride lets go of her veil, and the wind picks it right up and spins it in fun different shapes. As the veil folds over itself, the depth of the photograph is dramaticized. The bride smiles as she watches the veil dance in the breeze. This black and white photograph portrays the movement of the moment. From another room, natural light filters in from outside. From this unique perspective, we can see the bride holding her bouquet in one hand as she laughs. Portrait sessions are so much fun because we get to capture candid moments like this one. 1/40; f/2.8; ISO 100; 16.0 mm.